Brenda J. King, 72, of Hopkinsville died at 4:48 a.m. Monday, April 1, 2019 at The Medical Center of Bowling Green in Bowling Green, KY.
Funeral services will be 10:00 a.m. Friday, April 5, 2019 at Hughart, Beard & Giles Funeral Home with the Rev. Greg Giltner and Rev. Dr. Joe Bufford officiating. Burial will follow in Green Hill Memorial Gardens. Visitation will be Thursday from 4:00 – 7:00 p.m. at the funeral home. Hughart, Beard & Giles Funeral Home is in charge of the arrangements. A native of Paintsville, KY she was born September 20, 1946 the daughter of the late Winford and Edna Conley. She was retired after 32 years of service to BellSouth and later AT&T. 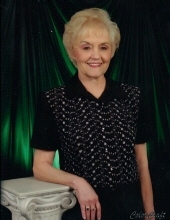 She was a member of the Telephone Pioneers and Hillcrest Baptist Church. In addition to her parents she was preceded in death by a son: Michael King; a brother: David Conley; and a sister: Paula Tucker. Survivors include her husband of 52 years: James L. “Jim” King; her son: Robert Ryan King of Hopkinsville; her sister: Donna (Marion) Meador of Bowling Green, KY; and her grandson: James Ray King. Memorial contributions are suggested to Heritage Christian Academy. To plant a tree in memory of Brenda J. King, please visit our Tribute Store. "Email Address" would like to share the life celebration of Brenda J. King. Click on the "link" to go to share a favorite memory or leave a condolence message for the family.